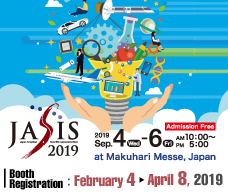 2019/02/27 Event	JAIMA SYMPOSIUM will be held at Pittcon 2019 (March 17-21, 2019, Philadelphia, Pennsylvania, USA). 2018/11/16 News	The IBO, Instrument Business Outlook, issued the newsletter, Oct 31st, 2018. It provides current business environment by summarizing the interviews with representatives of U.S., EU and Japan’s instrument associations. 2018/06/15 News	President’s Message has been uploaded. 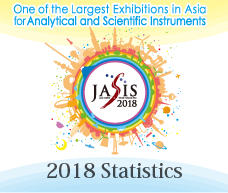 2018/04/06 Event	Submission site for “Flash Presentation & Poster Session” in “Royal Society of Chemistry (RSC)-International Conference Session at JASIS conference has been opened ! 2018/01/16 News	President’s Message has been uploaded. 2016/11/04 Event	The information of “PITTCON 2017 JAIMA SYMPOSIUM :Analytical Solutions for Biopharma & Biotherapeutics” has been uploaded.